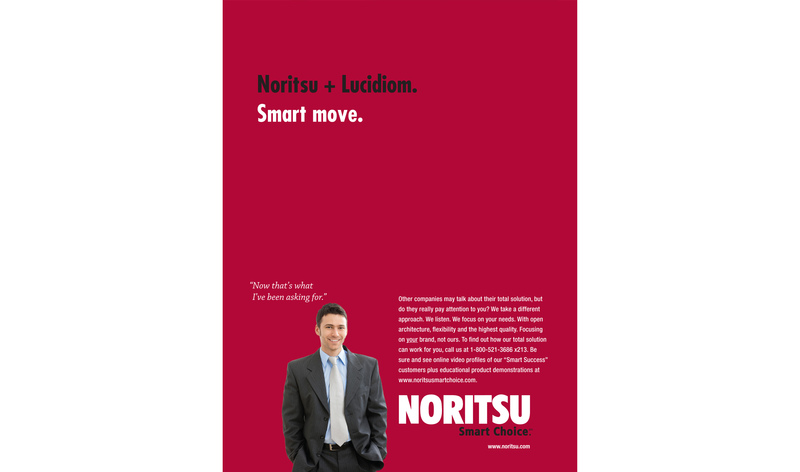 The Noritsu Advertising Campaign was part of an overall branding effort by Group 181, a Technology Ad Agency in Huntington Beach, CA. 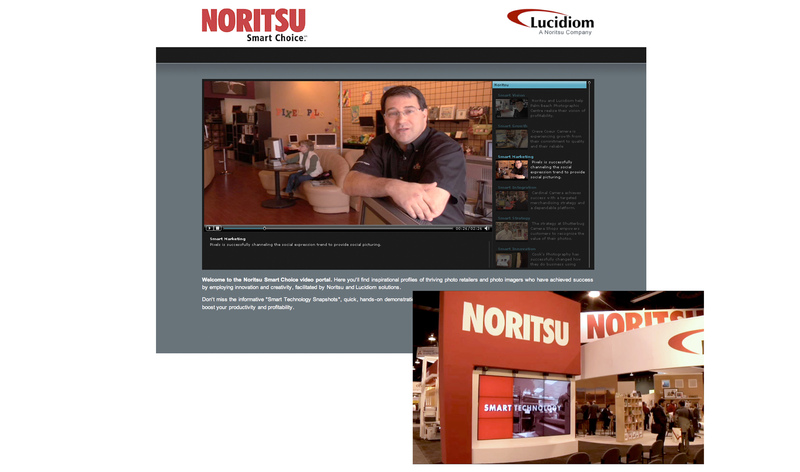 We provided Noritsu with complete full-service creative support on a variety of projects, including video testimonials of successful photo-imaging businesses, print ads featuring testimonials and product launches, product information brochures, PowerPoint sales presentations, Keynote video presentations and tradeshow booth graphics. We introduced the “Smart Choice” campaign as a company wide theme that could accommodate a variety of executions. 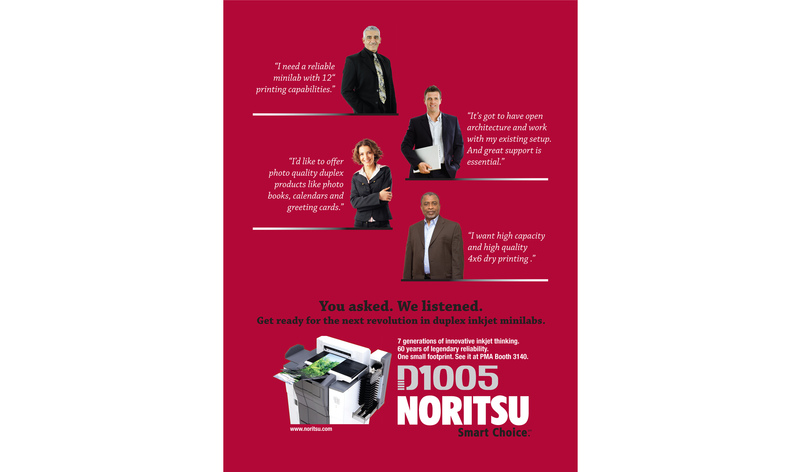 The idea of the campaign was to put the focus on the customer, to show how Noritsu products were an important ingredient for their business success. 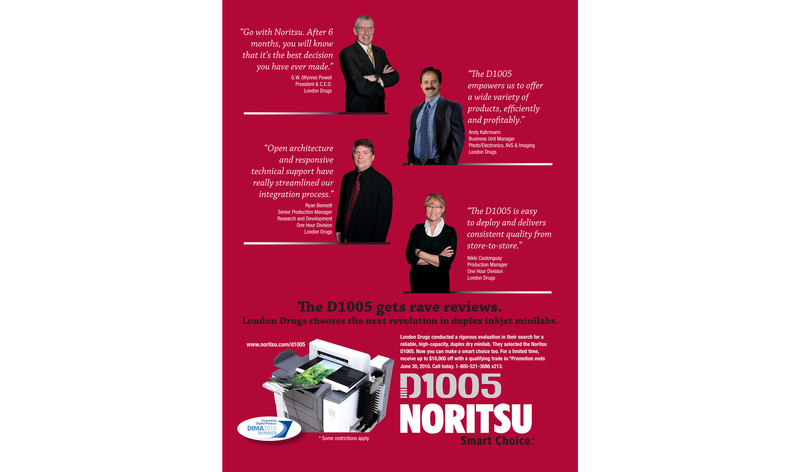 To kick off the campaign, we captured video interviews of 10 Noritsu customers, spread throughout the nation. This included professional photographers, camera store owners, photo printing bureaus and retail memory book stores. These videos were edited for online use and for a large video wall that was the focal point of the tradeshow booth at the Photographic Marketing Association.